Suzuki motorcycle - Up to the minuet Suzuki news – Check out the new Suzuki models for 2008 like the new Suzuki Cobra and the new Suzuki QuadRacer R450. Find out what started it all at Suzuki. Yoshimura Suzuki’s Ben Spies clinched the 2007 AMA Superstock Championship after winning the penultimate race of the season at Road Atlanta in Braselton, Ga., on Sunday afternoon. With one round of AMA Superstock remaining, Spies and his Yoshimura Suzuki GSX-R1000 went for the win even though he only had to finish in sixth place or better to take the title. With this win, Spies lays claim to seven of eight races so far this year. Additionally, defending AMA Superbike Champion Spies won pole position for this race, his sixth of the season. Team M4 EMGO Suzuki’s Geoff May finished in an impressive third place in the 15-lap AMA Superstock race. This is May’s fourth podium of the season in AMA Superstock. All of Suzuki’s road race teams will return for the final round of the AMA Superbike Series at Mazda Raceway Laguna Seca in Monterey, California, the weekend of Sept. 15 - 16, 2007. 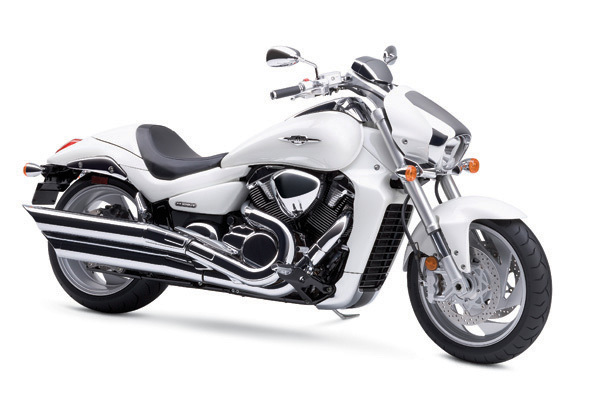 New York (Jan. 19, 2007) – American Suzuki Motor Corporation (ASMC), in partnership with Cobra Engineering, today unveiled a fully customized Boulevard M109R power cruiser at the New York International Motorcycle Show (IMS) at the Jacob K. Javits Convention Center. The bike will be on display at the Suzuki booth (Booth S) through January 21. Suzuki’s flagship Boulevard M109R – the most powerful cruiser Suzuki has ever produced – has been transformed into a heavily modified hot rod-style cruiser, representing the company’s strong racing heritage. The Cobra Special Projects Division, led by renowned builder Denny Berg, utilized elements of Suzuki’s championship-winning GSX-R sportbike line, including a GSX-R 20th anniversary blue and white paint scheme, GSX-R1000 foot pegs, and sportbike-style tail section, seat and handlebar risers. The custom M109R also features a more exposed frame, showing off the 1783cc, liquid-cooled, V-twin powerplant with dual overhead cams, four valves per cylinder and seamless Suzuki electronic fuel injection. The M109R’s stock engine has been designed to produce massive waves of torque from just off idle all the way to redline. And, the chassis comfortably handles all the power and torque of the massive V-twin, while also delivering agile handling and a comfortable riding position. 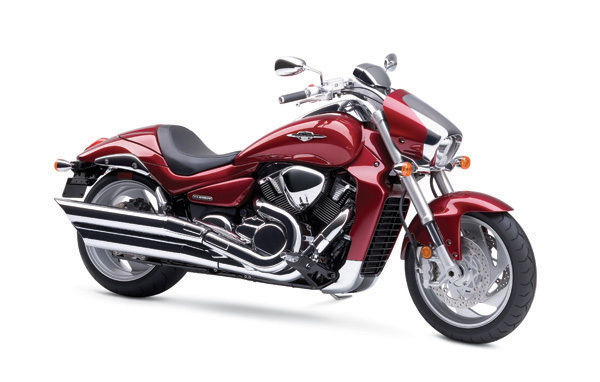 Suzuki introduced the much-anticipated Boulevard M109R cruiser to its 2006 line-up to satisfy consumers’ needs for a more powerful cruiser. The M109R features Suzuki’s race-proven technology from the championship-winning GSX-R sportbike line, boasting awesome power with its 1783cc V-Twin powerplant and an innovative look with aggressive styling and long, sleek flowing lines that define a new generation of Suzuki cruising machines. From the GSX-R inspired front fender to the purposeful front headlight to the long low fuel tank and stylish rear fender, the M109R drips with deep rich paint complemented by mirror-like chrome accents throughout the entire design. Other stylish features include a wide fuel tank with a generous 5.2-gallon capacity, a low comfortable seat, integrated frame side covers and a uniquely designed radiator cowl. Upfront, a streamlined headlight cover houses a unique trapezoid-shaped multi-reflector halogen headlight and a maintenance free LED taillight built into the tail section. Chrome dual slash cut mufflers complete the fashionable look of the M109R. For 2007, Suzuki introduced the Boulevard M109R Limited Edition model. The limited edition M109R features all the benefits of the popular cruiser with a specially designed paint scheme, textured seat, clear taillight with red LEDs, clear turn signals and other design extras. Rounding out the 2007 Boulevard cruiser line are the M50, M50 Limited Edition, S40, S50, S83, C50, C50T, C50C, C90 and C90T. The Motorcycle/ATV Division of American Suzuki Motor Corporation (ASMC), Brea, Calif., was founded in 1963 by Suzuki Motor Corporation. ASMC markets motorcycles and ATVs via an extensive dealer network throughout 49 states. ASMC’s parent company, Suzuki Motor Corporation (SMC), based in Hamamatsu, Japan, is a diversified worldwide manufacturer of motorcycles, ATVs, scooters, automobiles and marine engines. Founded in 1909 and incorporated in 1920, it has 120 distributors in 191 countries. BREA, Calif. (Nov. 29, 2006) – Since the recent launch of the 2006 Suzuki QuadRacer R450, American Suzuki Motor Corporation (ASMC) has collected several top honors and “ATV of the Year” Awards for its race-ready, high-performance ATV, proving its significance in the marketplace and on the racetrack. 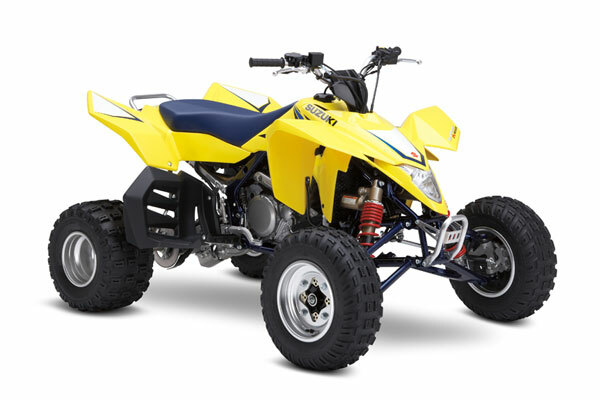 The new QuadRacer was awarded “2006 Sport ATV of the Year” by ATV Sport Magazine, “2006 Sport ATV of the Year” by ATV Rider Magazine, “2006 ATV of the Year – Sport” by ATV Pathfinder.com, “2006 Best Pure Sport ATV” by All-Terrain Vehicle Magazine and “2007 Sport ATV of the Year” by The ATV Guide. “The Suzuki QuadRacer 450R hasn’t just raised the bar; it’s changed the game!” Continue! Copyright© Steel Horse Motorcycle News. May 15, 2012.